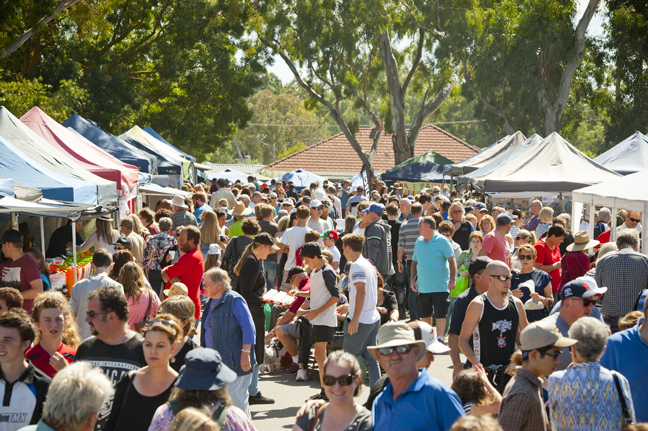 The Meadows Easter Fair is held over the four days of Easter long weekend each year. 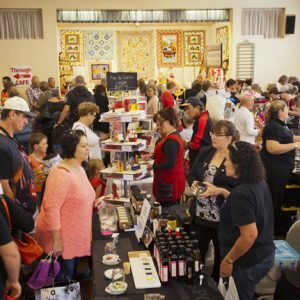 There is a wide range of stalls to investigate as there are about 30+ stalls within the various rooms of the hall and another 90-100 stalls outside in the bitumen car park. Free off street parking is available and there are plenty of toilets at the park or in the hall. The fair opens at 9am and closes at 4pm. 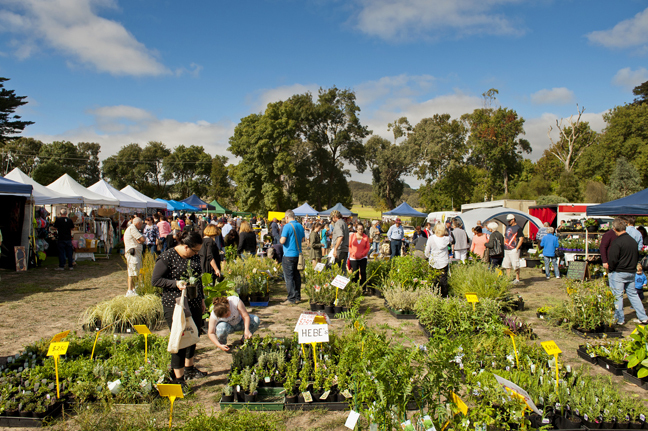 The first fair was held in 1997 with about 50 stalls and was only 3 days. The next year (1998) The Meadows Easter Fair grew to include Easter Monday and the rest is history. 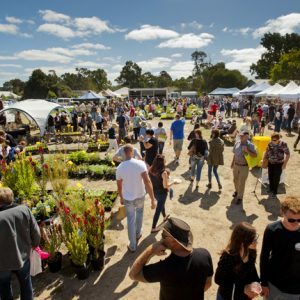 In 2018 we celebrated 20 years of the 4 Day Event and broke our attendance record with over 40,000+ attendees. 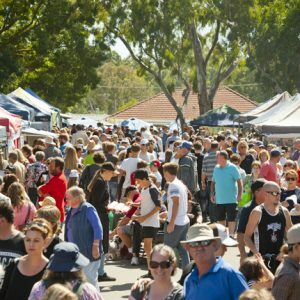 The Meadows Easter Fair has been awarded the “Community Event of 2012” at the Australia Day Awards on Australia Day 2013. This award has been received by the Meadows Memorial Hall Inc Board, volunteers, the stallholders and visitors who, together, have made the Easter Fair the best community event in the region. 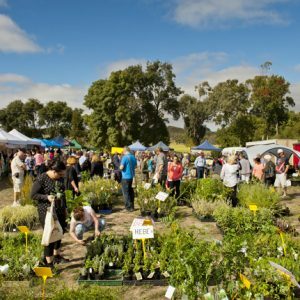 Mount Barker District Council – proud sponsor of the Fair! Our local council have been a strong supporter of the Meadows 4 Day Easter Fair from the very beginning. 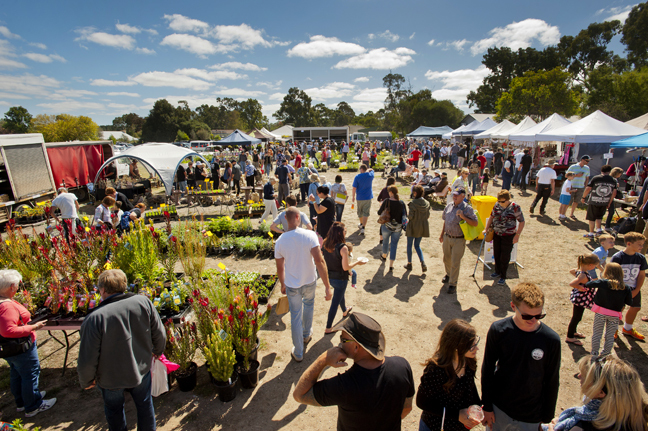 On behalf of the Meadows Memorial Hall Board and the Fair Committee we would like to acknowledge all the contributions from the Mount Barker District Council and its staff and we look forward to continuing to work with them into the future. Disclaimer: This is not an application and does not give you a site at the Fair. If we are able to offer you a site you will be contact with further information, an offer and the appropriate paper. 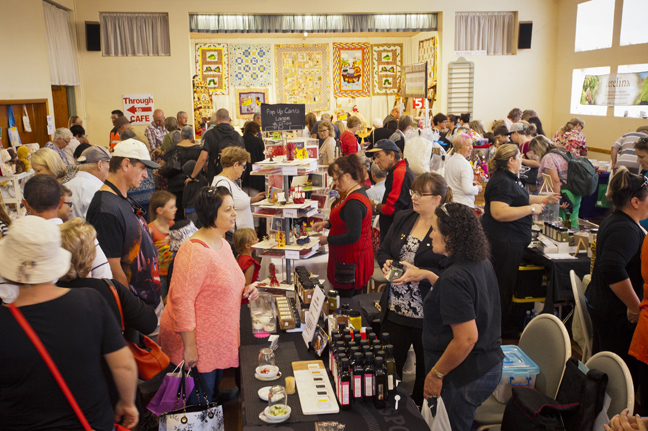 Please be aware that there may be a little wait to hear back from us due to the volume of interest in the Fair.